With the 'Waltmann und Sohn' 95 piece cutlery set you'll be sure to impress your guests as you make your way into the dining hall. 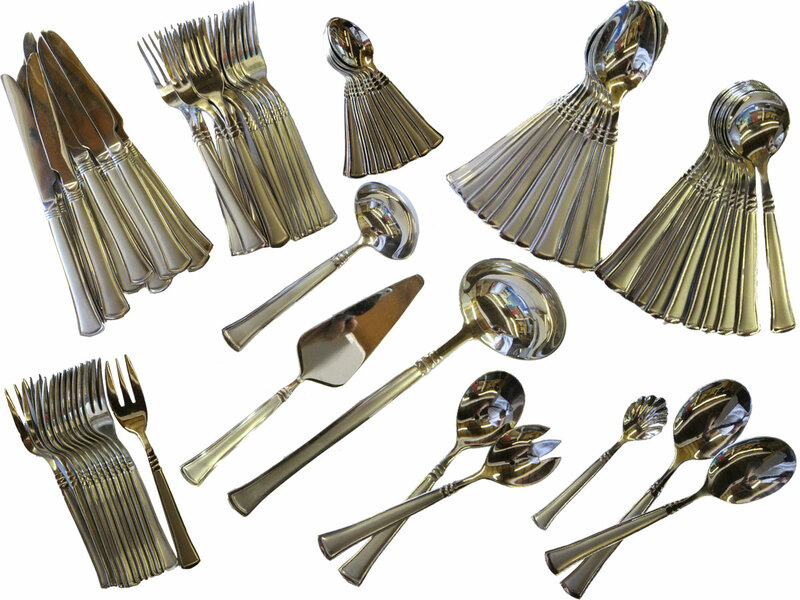 Included in this beautiful set are 12 table knifes, forks, spoons, tea spoons, cake forks and soup spoons as well as all the essential knifes and serving utensils including a soup ladle, serving spoons, cake server, tongs and sugar tongs. Manufactured from 18/10 stainless steel which is safe to be washed in the dishwasher. It makes the ideal gift, one you can be truly proud of giving. This listing is for the cutlery only it will be packaged and sent to you with no case. As this item comes with no case there maybe some marks or scratches. The item contents are brand new but comes with no case. There is no returns policy on this item. Whilst extra care is taken during the packaging process, we cannot accept liability for damage that may be caused during transit. It is basically the contents that we are selling not the case and the inner trays. All products carrying this disclaimer are pre-checked and where necessary, added protection is introduced prior to packing and despatch. There is no warranty offered in these items. May Have Scratches or marks. Great set at a great value. Not to be missed!